Spring is here, and that means black bears in West Virginia are coming out of hibernation and searching for food. Because bears are becoming more active during this time of year, chances of an outdoor encounter increase, says Colin Carpenter, black bear project leader for the W.Va. Division of Natural Resources. “Be aware that bears are leaving their dens in March and will readily take advantage of human food sources,” Carpenter said. Don’t run from a bear. Don’t climb trees to escape a bear. Quietly back away and leave the area. If attacked, immediately fight back. Carpenter reminds residents are reminded that feeding black bears is a violation of state law and a misguided disservice to the official state animal. “Some people will set out food to get a closer look at this often-secretive animal,” he said. “Although it may be tempting to feed scraps to a bear that wanders near your home, don’t risk it. This practice only strengthens a bear’s association of humans and food. Bear movements are tied to food sources. Bears that roam residential areas in search of food are less likely to stay if they do not find anything to eat, Carpenter said. The key to avoiding human-bear conflicts is to remove or secure food attractants such as unsecured trash cans and pet food bowls before a bear finds them. For more on bear safety best practices, watch the division’s bear safety video. 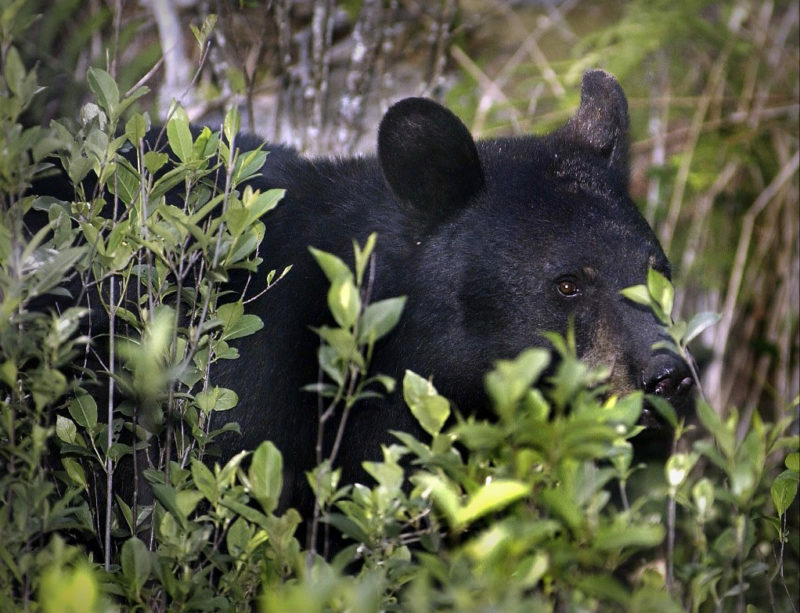 More information about how to handle black bear encounters. Learn more about the W.Va. DNR Black Bear Research and Tracking Project.